The future is already here. 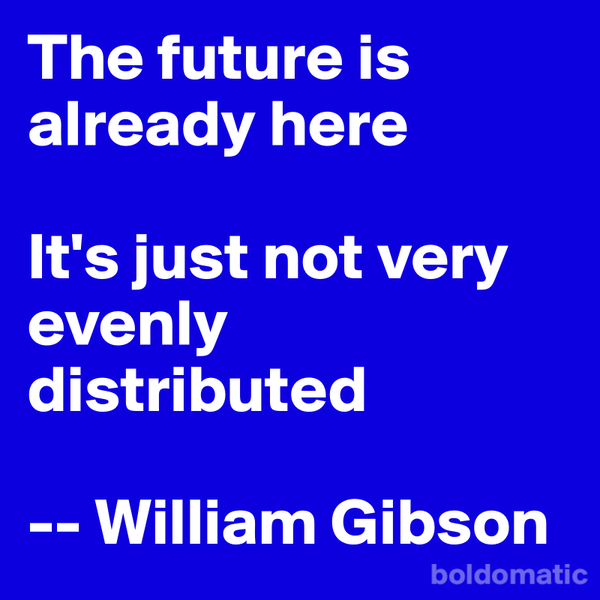 As William Gibson so eloquently put it. Most people just don’t want to take part of it until someone they know has done so first. This is what creates the now so famous adoption bell curve. We all need social proof at different levels from our peers before trying something new and risky. Then we have the early adopters who eagerly lead any adventure – quest – expedition into the unknown. Into the thinking field that creates humans like Gerd Leonhard, who calls himself a futurist. Something I have done from time to time. As person who thinks about the future a lot is a fitting description. The problem being that some people associates the word with something more nuttier. We do of course need people who think about the future a lot. Many of our modern-day inventions are inspired from books, tv-shows and movies made by futurist thinkers in the form of Science Fiction. Gerd talking to Mitch Joel is a really fascinating conversation, especially as the get into the music industry. If you, like me, get excited about people talking about the future do give Gera a listen here: Into The Future With Gerd Leonhard or on iTunes. Exponential growth is hard to understand. Our human mind aren’t built for it. 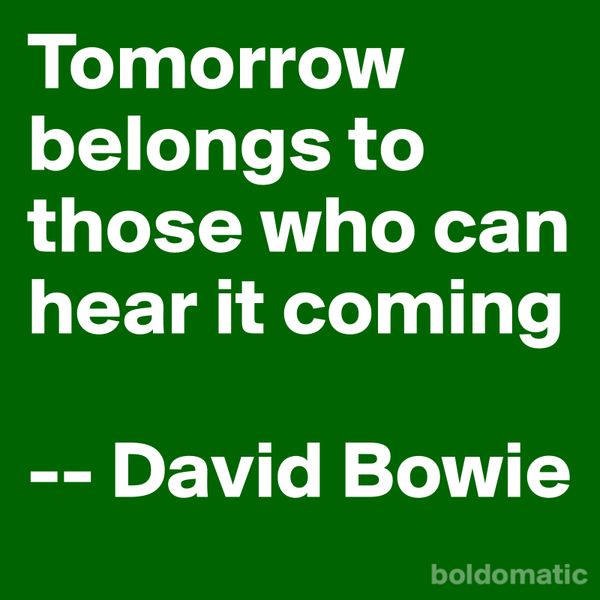 Being a futurist can be hard. Some people can associate you with some nutcase. On the same time much of our technology comes from futurist thinkers. Be a Hybrid Thinker. A catalyst of change. Can it be digitally contested? The Digital disruption is at hand. Anything that could be hacked into being digital in some way will be. Get on the rise and start experimenting by hacking things yourself. People don’t want to own a lot of stuff. They would rather pay for access when then need it. in a frictionless way. Is the future Star Trek? Are we going to age where money and work will be less important when we get access to su much mire at the snap of finger? Is this going to replace the hunt for Profit and Growth as the main drivers to anything? For some people it it already has. All things will become digital. This will of course lead to allot of overconsumption of digital stuff. We must stay digitally slim. Is there an opportunity for the digital trains and coaches out there to help us with that? We will see a total reboot in the music industry in the next three years. The music industry was damn lucky to get the CD. That doesn’t make the entitled to the next CD. Many companies with power and money will try cling to hold on to old business models. Just because they think they are entitled to all our money. 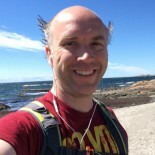 This entry was posted on April 26, 2015 by Michael Sillion in Inspiration and tagged #Blogg100, Digital disruption, Digital obesity, Futurist, Gerd Leonhard, Mitch Joel, Six Pixels of Separation.